Today’s card was created using a special limited edition suite of products that will be available tomorrow, November 1st but only while supplies last or November 30, whichever comes first. And these products are NOT just for Christmas! 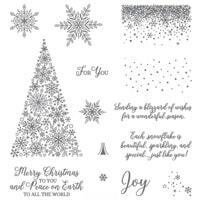 This amazing promotion includes your choice of two different stamp sets, one for Christmas and one that can be used all year long. Plus both stamp sets coordinate with an amazing package of Thinlits dies! But if that’s not enough you’re going to fall in love with the white velvet paper and snowflake trinkets, too. Let me show you why you’ll want these products! An elegant greeting card typically has a simple color palette and I don’t know too many people that don’t dream of a white Christmas. 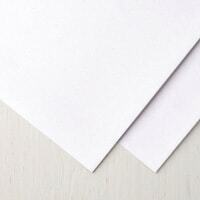 The Whisper White layer to this card is embossed using the Subtle Embossing Folder. And subtle it is. This folder is perfect for a tad of texture without having to worry about it competing with the other elements on your card. If you’re overlooked this beauty, you can find it on page 223 of the annual catalog. The white velvet paper is included in the limited edition Snowflake Showcase products and it’s beyond wonderful! You might think it would be difficult to use or emboss but I’ll show you otherwise in today’s video. Be sure to scroll down to view it and the tips to create this elegant greeting card. Did you notice the score lines for the snowflakes to hang from? As if the this elegant greeting card couldn’t have more details! 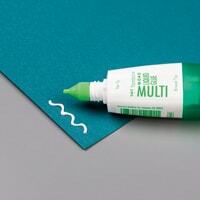 These lines are easy to create using either your paper trimmer, scoring tool or even a ruler and Bone Folder. I’ve got tips on positioning and how to create them in the video as well. But don’t miss the amazing bundle of tutorials I’m providing for any $25 Snowflake Showcase product purchase. Scroll down for details. 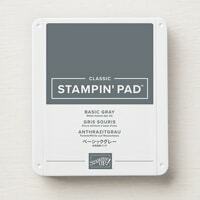 Get a good look at these exclusive products in the Stampin’ Up! video below – plus my “how to” video for today’s card! All these exciting new products are available to you beginning tomorrow but only while supplies last or through November 30th! I’ll be Live on YouTube, this Thursday, November 1st at 8PM EST – 5PM PST – 6PM MST – 7PM CST! I’ll be demonstrating a new paper crafting project and you won’t want to miss the tips and inspiration I have to share. Share this free Live event friends and plan to join us HERE. If you’d like to chat/comment during the live event create and sign into your YouTube account then follow these instructions. Desktop computers CLICK HERE – mobile devices CLICK HERE. Take a look at all the products in this limited edition suite! 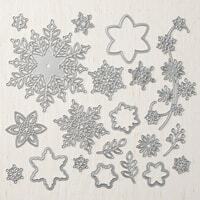 Here are the supplies I used to create my elegant greeting card using the Snowflake Showcase products. Click on any of the images to be redirected to my online store. I offer exclusive and generous online ordering REWARDS, too!